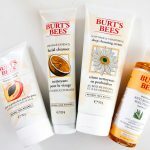 You may look at these Burts Bees cleansers and think, ‘I bet they are gorgeous to use,’ and you wouldn’t be wrong. I have been lucky enough to be trying these over the last few weeks, implementing them into my everyday routine and slowly falling in love with each and every one. 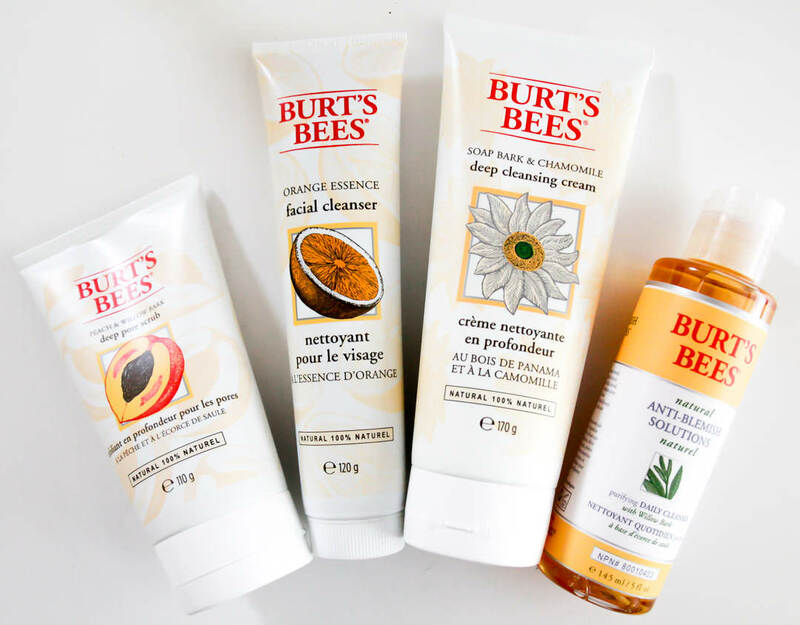 The different facial cleansers and purifiers that I have been trying out are the Burt’s Bees Orange Essence Facial Cleanser, Anti-Blemish Purifying Daily Cleanser, Soap Bark and Chamomile Deep Cleansing Cream and the Peach & Willowbark Deep Pore Scrub. 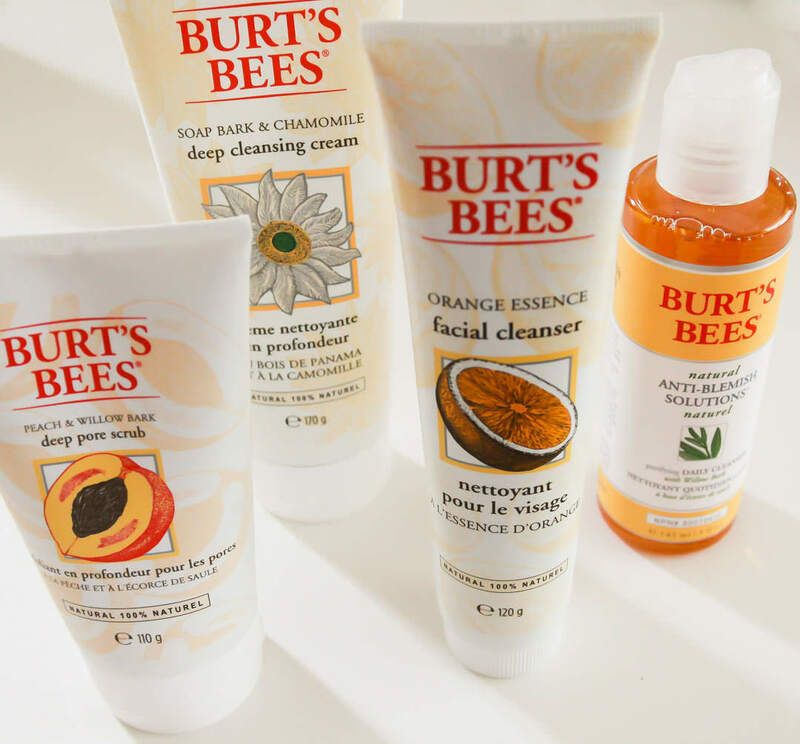 Burts Bees are a company well known for not testing on animals but these products are also 100% natural with their company aim being that by 2020 all their product formulas will be 100% natural and packaging will be 100% PCR/Biodegradable. My favourite of these for scent and results is the Orange Essence Facial Cleanser. This sweet, fresh orange scent gives your face a pick me up and has worked really well for me, especially on a sleepy morning with my Foreo Luna Mini Cleansing Brush. The Orange Essence Facial Cleanser contains orange oil and soap bark extract and is a very gentle, refreshing, slightly foaming cleanser. For me when I used it I felt like it was warming as I used it like a less intense self heating face mask. It is the thinnest tube of product but a little goes a long way! For when blemishes are starting to getting the best of my spot fighting treatments I use both the Anti-Blemish Purifying Daily Cleanser and the Peach & Willowbark Deep Pore Scrub. This spot fighting duo help to keep bacteria build up at bay without being overly harsh. The Anti-Blemish Purifying Daily Cleanser helps to wash away excess oils and, which came as a surprise to me, didn’t dry out my troubled skin in any way. The Peach & Willowbark Deep Pore Scrub is a little abrasive so would not be best if you have very sensitive or sore skin. I used it twice weekly to give my skin a deep exfoliation to help wake my skin up and get rid of any dead skin. It also helped with removing any redness or slight scarring from recent blemishes. Lastly is the Soap Bark and Chamomile Deep Cleansing Cream, a very creamy gently cleanser that contains chamomile and aloe. Great for sensitive skin, or as I have used it when my skin is sore with bad blemishes, this cleansing cream is mild with menthol that helps cool and sooth the skin. 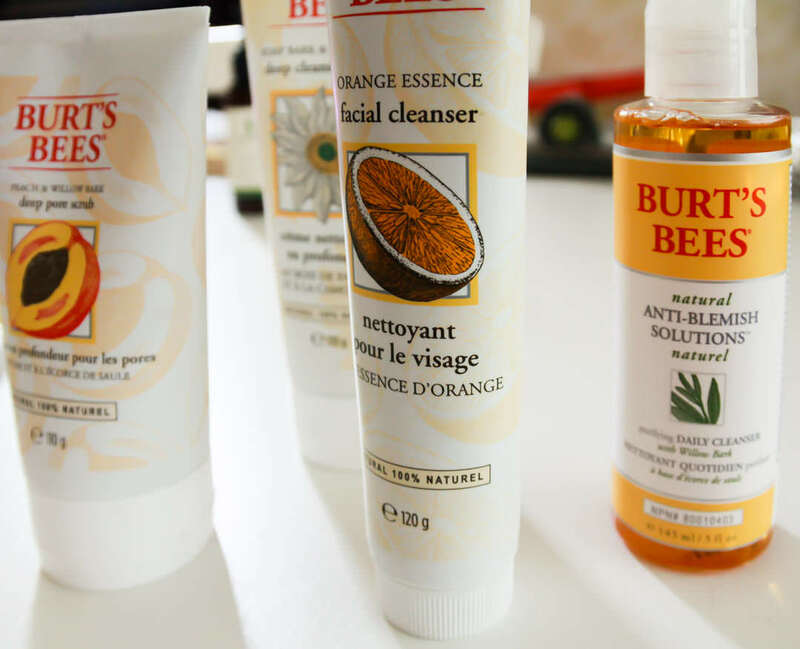 Have you tried any of Burts Bees cleansers featured in todays review? Which were your favourites?